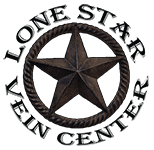 In Venous Reflux Disease, also known as Chronic Venous Insufficiency, the veins are no longer able to bring the old and used blood back up from the legs. This occurs because of failure of the tiny one way valves. As the veins get bigger, the valve leaflets no longer touch, or approximate. The one way function of the valves breaks down. This leads to high pressure which leads to even bigger veins, and thus more valve failures. Like a snow ball rolling downhill the bigger the veins are, the faster they get even bigger. This pressure along with the adverse effects from the old acidic used blood causes the problems that you may have. Heredity is perhaps the most important risk factor for varicose veins. If this problem runs in your family, you are at high risk for the disease. Occupation is the second most important risk factor. Those persons that stand in one place for long hours are more likely to develop the varicose veins. Teachers, Nurses, Cashiers, and Factory Workers are commonly affected. People that frequently lift heavy objects are also at higher risk. Pregnancy, especially multiple pregnancies can increase your risk substantially for varicose veins. Women get the disease more commonly than men as female hormones act to relax the walls of the veins.